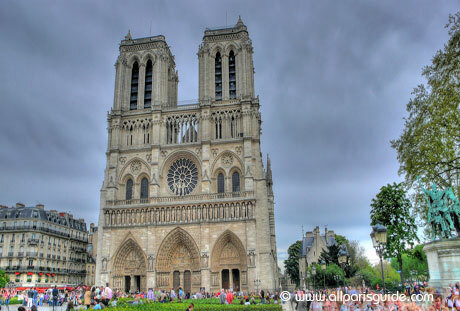 “Each side, each stone of the venerable monument is a page not only of the country,ut alsoof the history of science and of art.” Victor Hugo’s words written in 1831 as part of his voluminous historical novel Notre-Dame de Paris, which introduced the famous hunchback Quasimodo ring as true as the bells of this twin-towered cathedral. 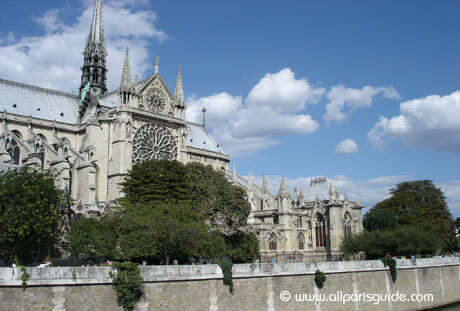 Notre-Dame occupies a site that concentrated on the Ile de la Cité, the heart of the city. Further proof of Notre-Dame‘s importance is the fact that it is used as point zero for measurng distances from Paris. 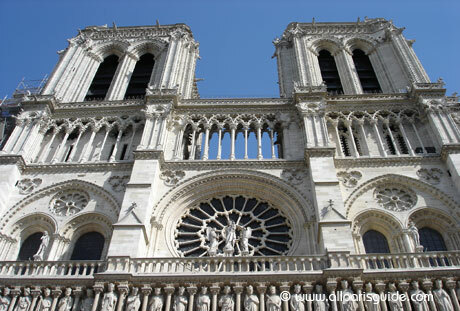 Soon after the Romanesque abbey of St Denis, just north of Paris, was completed (1144), bishop Maurice de Sully decided that Paris needed its own cathedral, and construction started in 1163 with foundations laid by Pope Alexander III. The choir was completed in 1182 and the west front and tw towers between 1200 and 1250. It was only in 1345 that the original plans were realized, thus making it an edifice of transition between the Romanesque and Gothic. 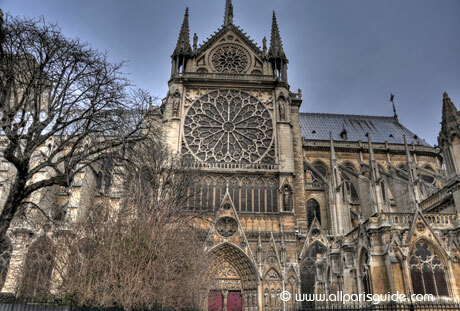 As a work of the people, Notre-Dame was ut by guilds of carpenters, stone carvers, iron forgers, and glass craftsmen, who all labored in the pure medieval spirit of a communal religious effort. For years it remained a meeting place for trade unions as well as a dormitory for the homeless. 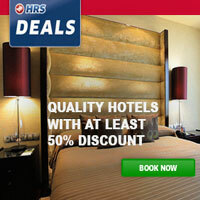 Its adjoining cathedral school was renowned throughout Europe and eventually gave birth to the Sorbonne. 0 réponse dans " Notre Dame de Paris "